The decision to exercise is an important one for your overall health – as important as diet and regular chiropractic care – to keep your nervous system fit and healthy. Physical Movement and Exercise is actually a daily nutrient needed for proper health. Improves BDNF, which is the production of new neurons in the brain! Movement is essential for a healthy spine and nervous system. 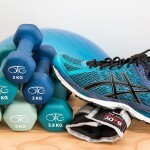 Do you want to start exercising or are not consistent with your regime? Determine & Remember your WHY. Before you get started on your exercise program, remember your SMART goals. What made you want to start exercising? What are your health goals? Why do you want these? How would your life change if you achieve those health goals? THIS is your Why. Long term fitness enthusiasts will tell you their Why goes beyond the physical. Having a reason to exercise beyond an aesthetics or weight loss goal will help you stay consistent for the long term. Schedule it. Look at your calendar and find times that are the best opportunity to exercise. Plan it out like any other appointment. Be realistic. Mornings work great for some, as it starts their day off right & they’re less likely to skip it later. But not a morning person? Maybe a lunch hour workout would work best for you. Play around with different scenarios and you will find what is sustainable. Consistency over Perfection. Exercise should be a daily part of your routine, but start with where you’re at currently. Not exercising at all? It is not realistic (or safe) to start working out every day for an hour plus. Pushing too much, too fast can lead to burnout (mentally and physically) and increase risk of injury. Have you ever “gone hard” one week at the gym, only to be too sore and tired and skip the next two? Avoid the urge to go all out at once. Start slow and increase your variable (frequency, duration, and intensity) over time. If you’re new to exercise, start with 3 sessions a week at 30 minutes. Choose lower impact exercises, such as walking versus running, strength training using bodyweight exercises versus a high intensity group class like OrangeTheory, Cross Fit etc. Recruit a trainer and/or coach. They can help you stay accountable to sessions but also teach you basic exercises and proper form to ensure safety and effectiveness. Dr. Senz and Allison have been personal fitness trainers for many years. They are here to help you with any questions about form, programming etc. You can also refer to you personalized exercise recommendations along with our Workout Library for resources. Get support. Seek out a family member, friend or fellow gym member and share your health goals. Plan to work out together or have them check in you to keep you accountable to your sessions. Personalize it and HAVE FUN. Find something you enjoy and that is sustainable for you long term. Exercise can & should be fun! There are SO many different ways to move. That is the beauty of exercise and fitness. One plan does not fit all! 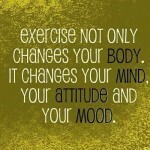 It is also completely acceptable to change up your exercise. Loved running before but dreading it now? Maybe a dance class or trying resistance training might sound interesting to you. Mix it up and keep it interesting! You should look forward to your sessions, not dreading them.Lastly, when starting something new or changing exercise, remember to start out slowly, don’t overdo it and stop if you feel any type of pain, in order to avoid serious injury. Decide & schedule when you will start your exercise. What does it involve? When and where will it take place? What will you do? Email us your plan & keep it visible on your calendar.